Car Accidents With An Uninsured Driver | WM Andrew Wills II P.C. Although Colorado law requires all drivers to carry a minimum amount of auto insurance,1 the latest research2 shows that at least 16 percent of Colorado motorists are uninsured. This translates to roughly 1 in every 6 Colorado drivers having no auto insurance coverage. When these uninsured drivers cause crashes, it’s crucial to get answers about your options for financial recovery. Hurt in a Crash Caused by an Uninsured or Underinsured Driver? Colorado Springs Car Accident Lawyer Wm Andrew “Drew” Wills II is ready to discuss your potential claim and recovery options during a free case evaluation. UM/UIM coverage is intended to protect drivers who are hit by uninsured or underinsured drivers. Colorado law requires insurance companies to provide UM/UIM coverage that at least matches the bodily injury liability limits associated with the primary policy. Drivers can reject UM/UIM coverage. To do so, however, they must waive UM/UIM coverage in writing. Consequently, if you are not sure whether you have UM/UIM coverage and you know that you never waived this coverage in writing, it’s likely that your Colorado auto insurance policy contains this coverage. 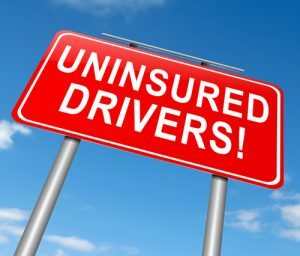 Motorists who have UM/UIM coverage and are hit by uninsured (or underinsured) drivers can file claims with their own insurance companies to recover from these crashes. Provide the same type of damages that you would be entitled to had the at-fault motorist had the proper coverage – These damages can include compensation for medical bills and other losses arising from the accident. Cover you even if you were not driving at the time of the crash – For instance, if you are hit by an uninsured or underinsured driver while you are a passenger or a pedestrian, your UM/UIM policy may still cover you. Cover you after a hit-and-run crash – If you are hit by a driver who flees the scene (and who is never identified or located), you can file a claim under your UM/UIM coverage to recover from these accidents, as well as crashes caused by uninsured or underinsured motorists. May look for ways to try to reduce or deny your claim. Preparing your claim for litigation if insurers refuse to pay you the full amount of compensation you deserve. Confidently Recover with 30 Years’ Experience on Your Side: Contact a Colorado Springs Car Accident Lawyer at Wills Law, P.C. If you have been hit by an uninsured or underinsured driver – or if you have been the victim of a hit and run, you need an experienced attorney on your side now. You need a Colorado Springs Car Accident Lawyer Wm Andrew “Drew” Wills II. Call (719) 633-8500 or email the firm (via the form on our Contact Page) to schedule a free consultation and get information about your legal options. With Colorado Springs Lawyer Drew Wills II in your corner, you can expect to have a highly competent attorney who listens, treats you with respect and keeps you informed about the progress of your case. You can also expect professionalism, integrity and exceptional advocacy while Drew works tirelessly to help you secure the best outcome possible.